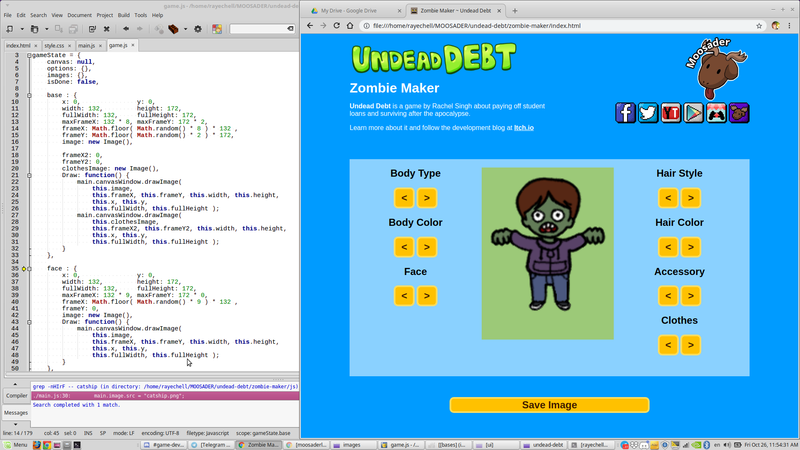 I've taken a bit of a break from working on Undead Debt this past week just due to being busy and tired and depressed. I really should be grading the huge backlog of programming assignments I have to do - oh well. I need to do more art to get it ready to use... Hopefully I can get it up and running before Halloween! Although we all know that student loans are truly timeless, I assume that people will be less interested in zombifying themselves after October 31st. So yeah, I had to throw out some code, but I've done all this in this morning. 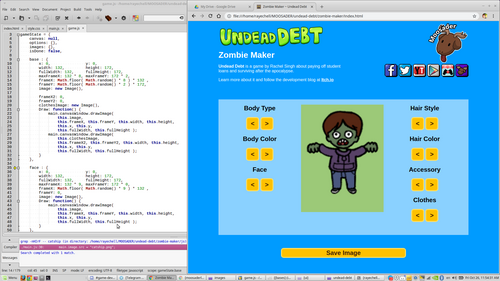 The coding now is negligible, and I just have to finish the art.